Gum infections range from conditions such as mild gingivitis to gum disease and periapical abscesses - around the root of the tooth. Initial infection can begin as slight sensitivity while severe forms of infection may also involve clear or cloudy white drainage from the area of infection. Gum infections are typically due to poor oral hygiene and existing dental disease or tooth decay. Gum infections are primarily caused by oral bacteria that form plaque and tartar, which destroy gum tissue. However, there are other factors that increase your risk for developing gum infections such as stress, tobacco use, hormonal changes, medications, poor nutrition, diabetes, pregnancy or genetics. Gum Infections From Gum Disease Gums often appear infected when in fact they are experiencing symptoms of gingivitis or moderate to severe gum disease. Small amounts of plaque congregate along the gumlines, depositing the bacteria below the gums. When not removed effectively, the body induces a swelling and bleeding response to the infected area. Severe forms of gum disease will also cause destruction of the supporting bone, causing tooth loss. Gum Infections From Dental Decay When tooth decay is left untreated, it continues to spread throughout the tooth enamel and may also spread to adjacent teeth. Once the decay has reached the inner portion of the tooth, the nerve of the tooth becomes infected. This infection will attempt to drain, and often causes a “pimple” or abscess near the root of the tooth, draining through the gum tissue. Most abscesses appear to come and go, but the condition is permanent until your dentist removes all of the decay and repairs the tooth. Viral Or Bacterial Infection In some cases you can develop gum infections due to viral or bacterial conditions. This is due to bacteria building up in the mouth due to bad habits and improper oral hygiene. For example, not removing dentures or partial dentures can allow bacteria to buildup under the prosthesis and cause bacterial infections on the gum tissue. Viral infections such as ulcers can cause irritation, but typically go away on their own within about two weeks. ...and in rare cases, the risk of brain abscesses. (2) Here’s 6 Things To Know About Loose Teeth. Gum infections can be a sign that you are not effectively removing plaque and biofilm as efficiently as you thought you were. Even a small amount of plaque residue left along or under the gums and between the teeth can cause the onset of a gum infection. The best way to prevent gum infections is to have exceptional oral hygiene practices. Be it with floss or a water flosser, cleaning between your teeth is almost, if not, more important than brushing your teeth. The majority of gum diseases and infections originate between the teeth, where brushing does not reach. Be sure to clean the area at least once each day. 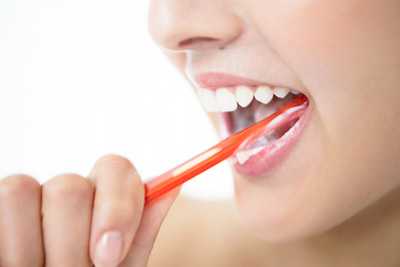 Brushing effectively Use a soft-bristled toothbrush and angle the bristles toward your gums. Sweep the brush in small circular motions, focusing on one or two teeth at a time. Be patient and spend at least two minutes during a single brushing, focusing at the gumlines. Use pure, proven ingredients The best way to prevent infections is to kill the major cause – bad bacteria. A recent University of Kentucky study has shown three 100% pure ingredients kill the bacteria that lead to gum infection and other problems. If it is not noticed early enough, treating a gum infection will include the same steps as preventing them in the first place. Brushing, gargling and flossing will usually help your mouth stay clean enough to heal itself in most cases. However, if it gets out of control, it may require some more in-depth procedures to clear. Home remedies for gum infections are very simple, straightforward and affordable. 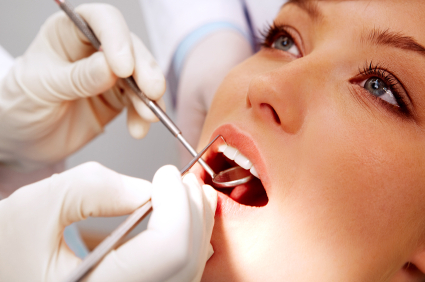 If you want to treat gum infection, always start with proper preventive care. Mild gum infections like gingivitis can be reversed within two weeks of proper home care. For more information about treating more moderate gum infections, read our section on gingivitis and gum disease. How do I get rid of the pain caused by my gum infection? Gum infections typically hurt due to inflammation caused by bacteria. To get rid of the pain, you want to get rid of the bacteria. Removing it effectively each day can help alleviate your pain within about 10 to 14 days. In the meantime, rinse with some warm salt water and take an anti-inflammatory - such as ibuprofen - to help with the symptoms. At what point do I need to see a dentist? If you are having pain associated with the actual tooth - such as hot, sweet, or nerve sensitivity - then you may also have tooth decay, which will need to be treated as soon as possible. If your gum infection appears as a pimple on the gums in the area of the tooth root, you will need to see your dentist for possible nerve treatment. How do I know it’s a gum infection and not a tooth infection? 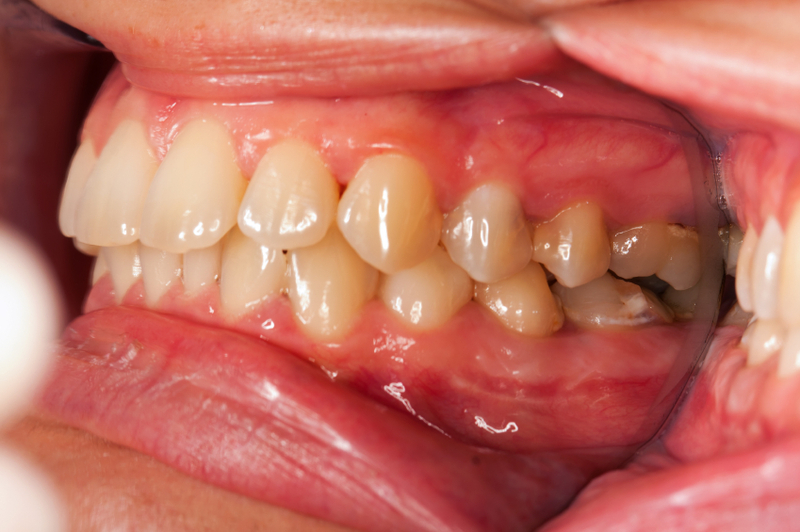 If you have a gum infection, your gums will typically be sore, swollen and tender. Tooth infections - tooth decay - usually have pain associated with hot, cold, sweet and sometimes pressure. Will taking antibiotics remove the entire infection and prevent it from coming back? Antibiotics will remove the initial bacterial infection, thus alleviating the pain, but unless the tooth decay is removed and the tooth is repaired, the infection will return. Recurrent use of antibiotics can cause drug-resistance. I’m using a prescription mouthwash that my dentist gave me and it seems to be staining my teeth. What am I doing wrong? You’re not doing anything wrong. Most prescription mouthwash contains Chlorhexidine, an ingredient that can stain your teeth brown when used after several days in a row. You’ll want to be careful with mouthwash containing alcohol, because it can dry out the mouth. A dry mouth can be a breeding ground for bad bacteria – the very kind that can lead to gum disease and other oral health problems. Jepsen S, Kebschull M, Deschner J.; Bundesgesundheitsblatt Gesundheitsforschung Gesundheitsschutz. [Relationship Between Periodontitis And Systemic Diseases]. [Article in German] 2011 Sep;54(9):1089-96. Clifton TC, Kalamchi S.,Ann R; A Case Of Odontogenic Brain Abscess Arising From Covert Dental Sepsis. ; Coll Surg Engl. 2012 Jan;94(1):41-3. Bauroth, K., Charles, CH., Mankodi, SM., Simmons, K., Zhao, Q., Kumar, LD. ; The Efficacy Of An Essential Oil Antiseptic Mouthrinse Vs. Dental Floss In Controlling Interproximal Gingivitis. A Comparative Study. J Amer Dent Assn. 2003 Mar. Vol. 134 no. 3 359-365. Description: Gum infections range from conditions such as mild gingivitis to gum disease and periapical abscesses - around the root of the tooth. Initial infection can begin as slight sensitivity while severe forms of infection may also involve clear or cloudy white drainage from the area of infection. Gum infections are typically due to poor oral hygiene and existing dental disease or tooth decay.